Please note, although all clearance clothing lines are brand new, unworn garments, items may not come in their original packaging. 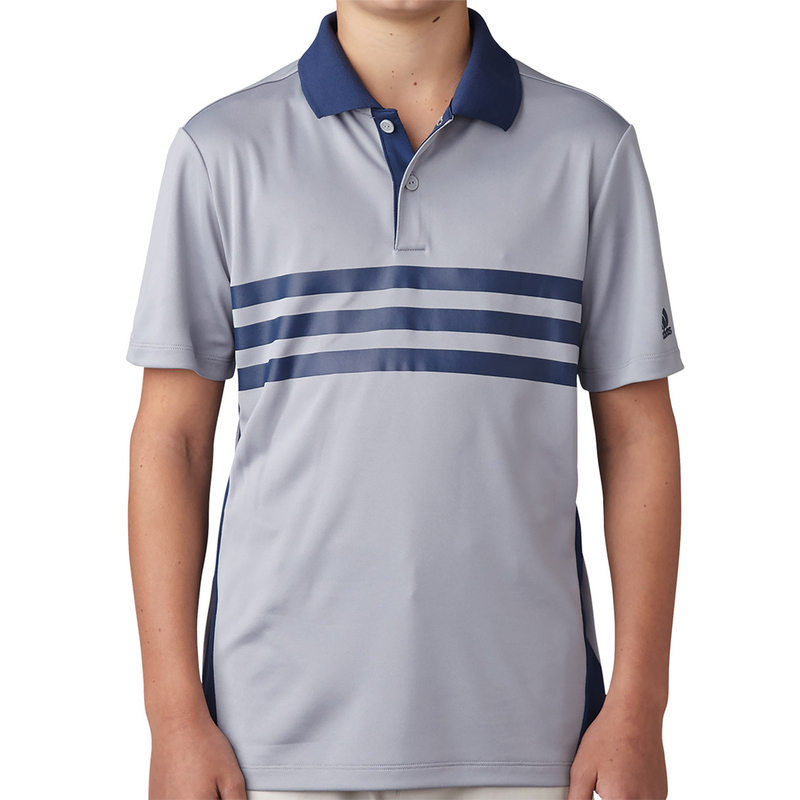 This fantastic youth polo shirt has been designed to cope with the demands of golf. 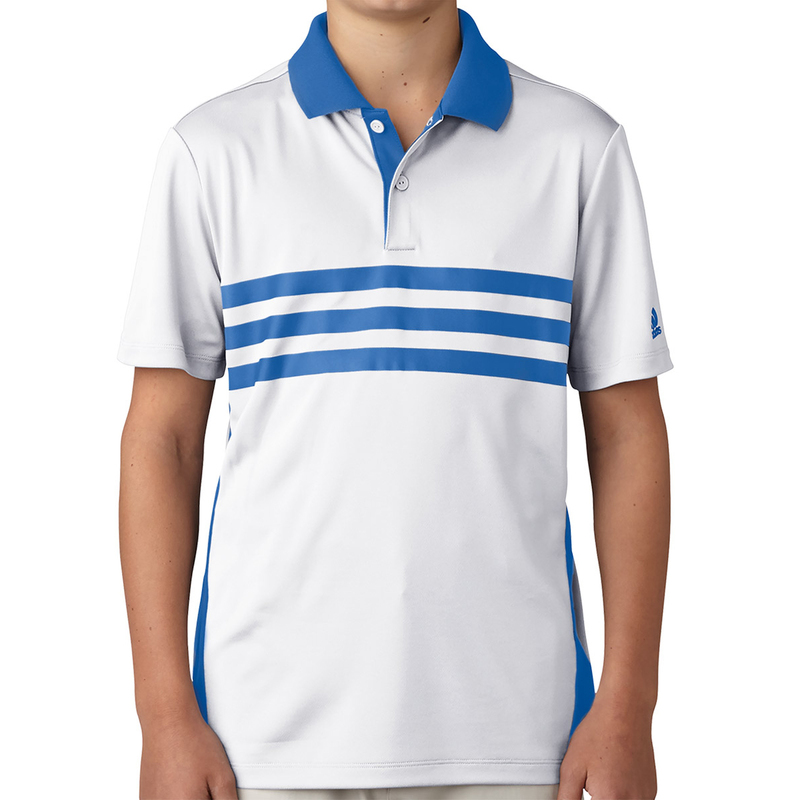 Made with a stretch polyester fabric that ensures easy care and freedom of movement, which is a must on the golf course. 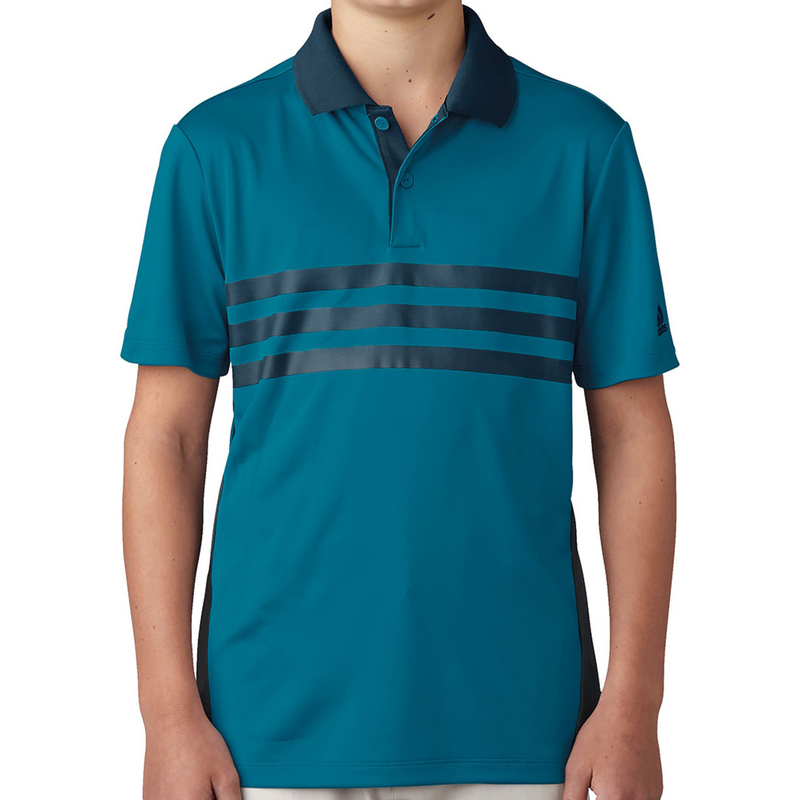 The design feature contrast coloured collar and engineered 3-stripes branding across the chest. Finer details include adidas raised badge of sport heat transfer on the left sleeve.